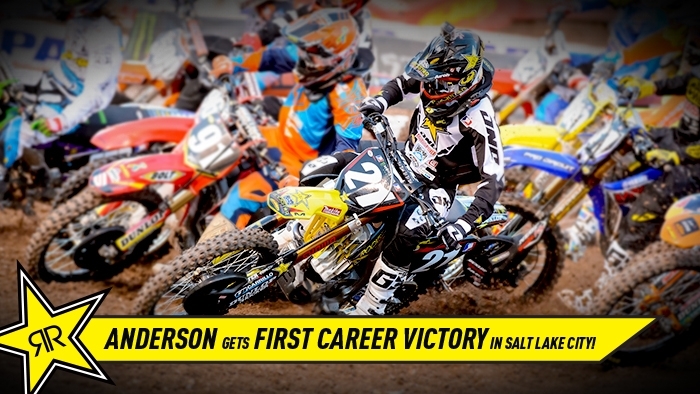 Jason Anderson: "My win tonight was good. I got a good start and led the whole main which is something I've never done. I was stoked to do it here in Salt Lake. It was a good race for me. I got my first podium here last year, which was my first time here. To get my first win this year, I'm happy and super excited. I usually just go crazy. Just being calm and putting in my laps made the difference. The whoops were gnarly tonight. I definitely didn't wanna crash the last lap in them. Once I made it through them it was like sigh of relief. It was a good night."